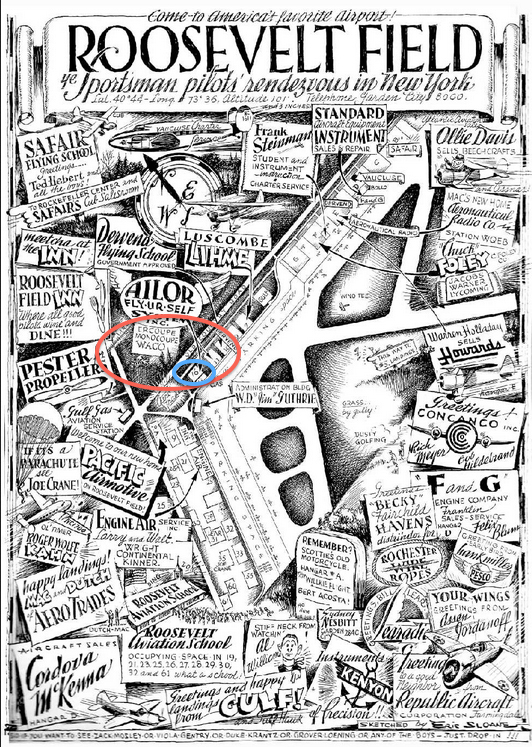 William believes a historic marker is long overdue for a building in this aerial (courtesy of the Cradle of Aviation). What is the building? What is its location? Why is it historic? The Mystery Foto is looking south/east over Garden City, East Garden City and East Meadow. 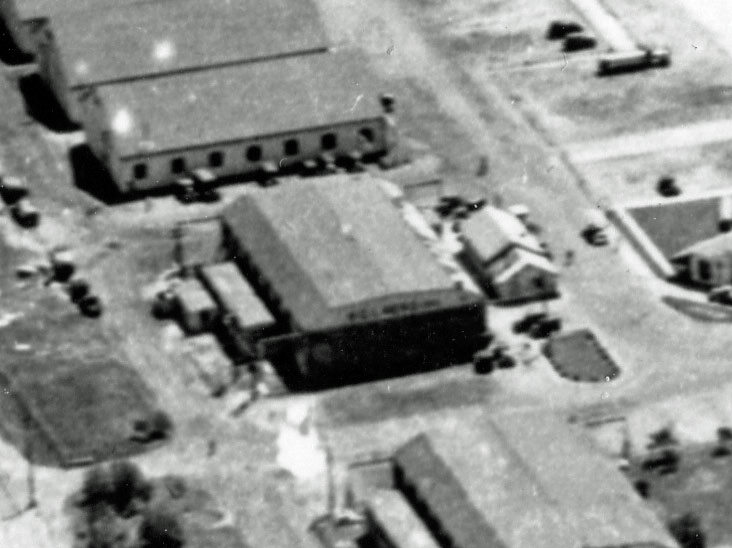 The second rectangular building seen in the left corner of the Mystery Foto was Hangar 16 of Curtiss Field in Garden City. This hangar housed Charles Lindbergh's Sprit of St. Louis from May 12, 1927 until its historic flight on May 21, 1927. In this hangar, Lindbergh worked with his mechanics to tune the Spirit of St. Louis' engine and replace a carburetor heater and compass. The intersection in the lower left corner is Old Country Road (west/east) and Clinton Road (north/south). The Long Island Motor Parkway and Stewart Avenue run parallell above the wings of the Keystone bombers. What year was this aerial taken? Congrats to Steve Tremulis, Frank Femenias, Charles Parmelee, Greg O., Steve Lucas, and Art Kleiner for identifying the historic building as the Spirit of St. Louis hangar. Kudos to William C. Moyers, Josh Stoff and Julia Blum of the Cradle of Aviation, Frank Femenias and Art Kleiner for their assistance in this fascinating Mystery Foto! Let's try to get a historic marker on Old Country Road for Hangar 16. Voice your opinion in the new VanderbiltCupRaces.com poll. 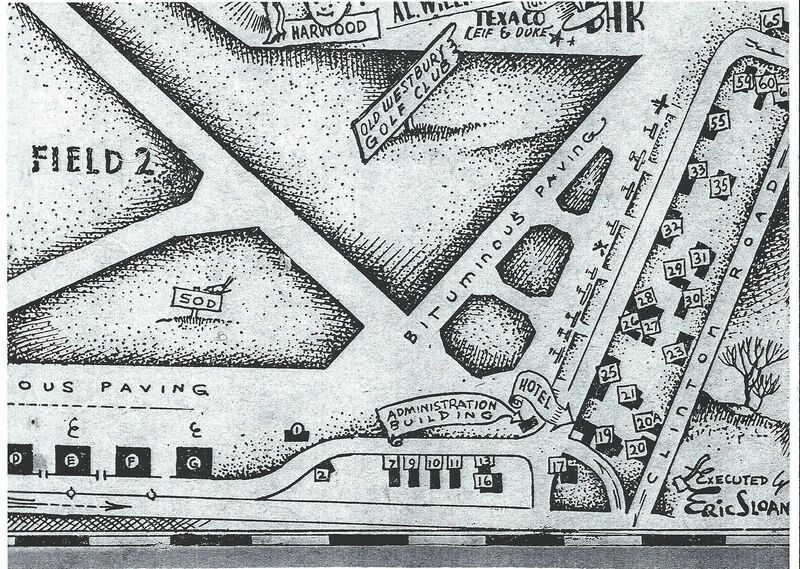 Dotted line marked the border between Curtiss Field and Roosevelt Field in 1927. 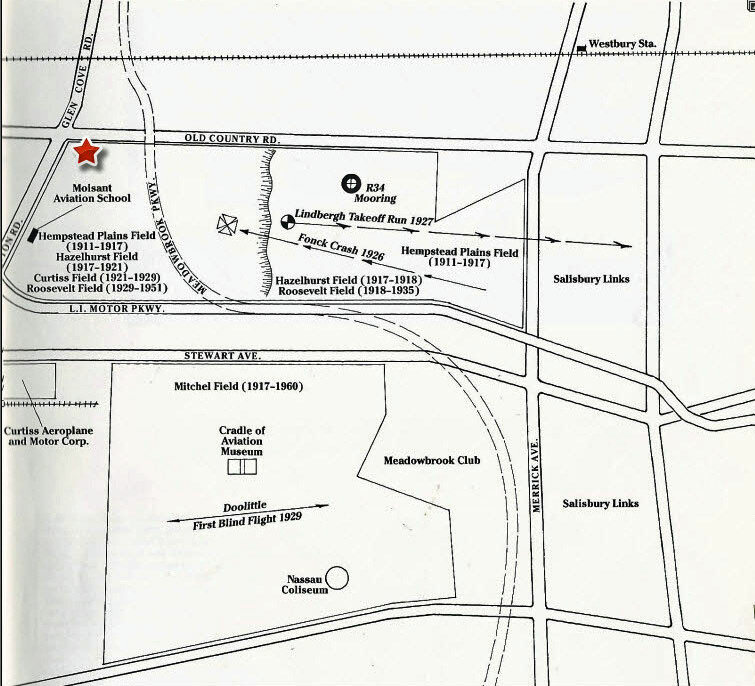 Roosevelt Field maps "executed" by Eric Sloane. Aerial view of Curtiss Field (bottom) and Roosevelt Field (top). 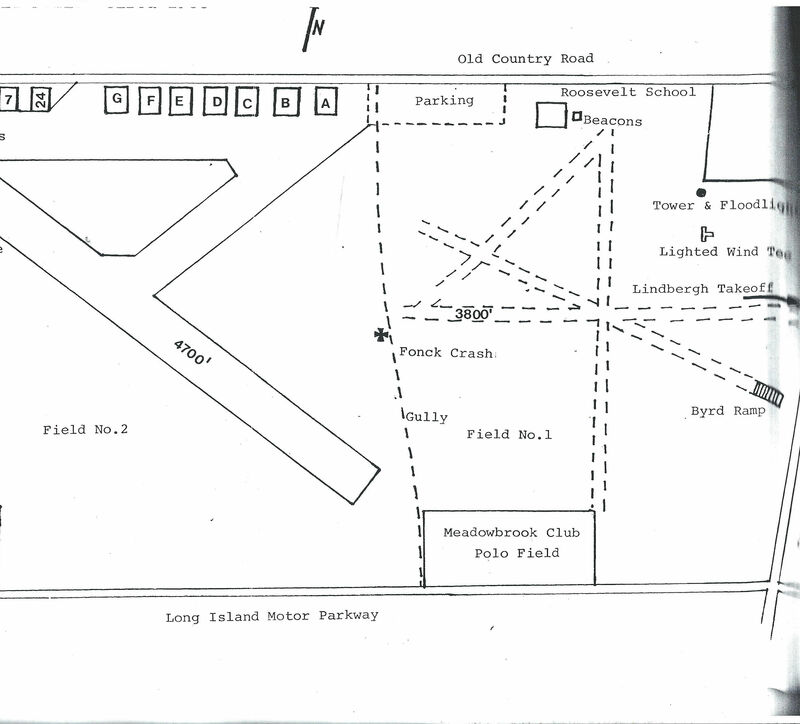 Another Roosevelt Field map by Eric Sloane. Curtiss Field looking north. Clinton Road is on the left and Old Country Road is across the top. 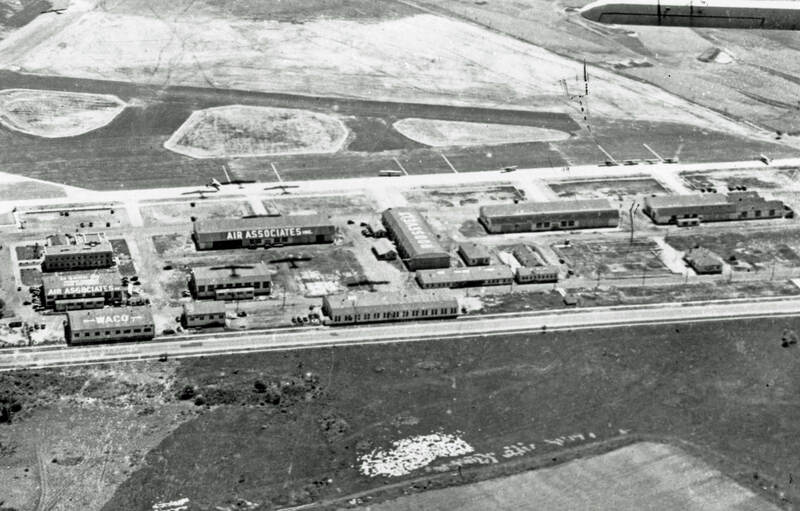 The first two hangars on Old Country Road (left to right) are Hangar 17 and Hangar 16. Amazing closeup of the Clinton Road Motor Parkway Bridge, the General Manager's Office and the Garden City Lodge. Note: the automobile in front of the General Manager's Office. 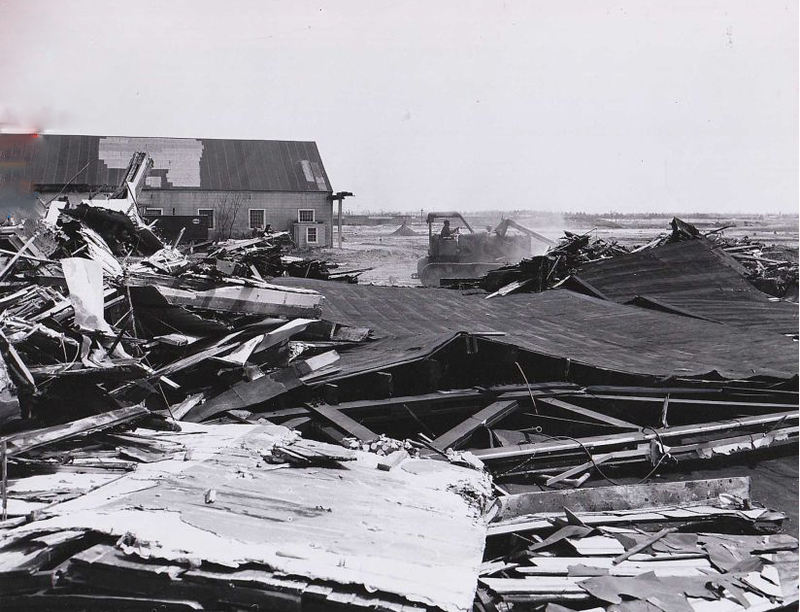 Looking north, Hangar 16 can be seen at the top left corner. Caption: Opening day Curtiss Field, Garden City. Looking north/east, Hangar 16 is on the far left. Note: Building 13 in front of the hangar. 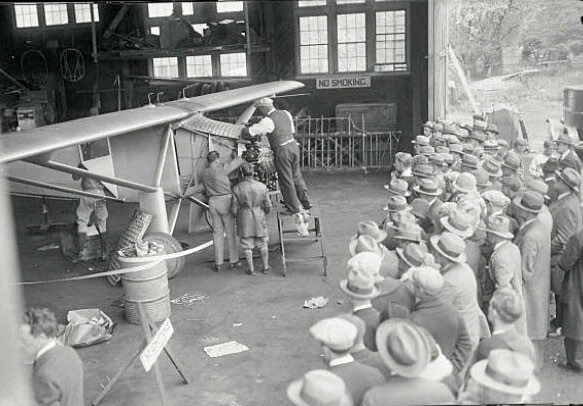 The photo was taken at the American Legion Air Circus on September 26, 1926. 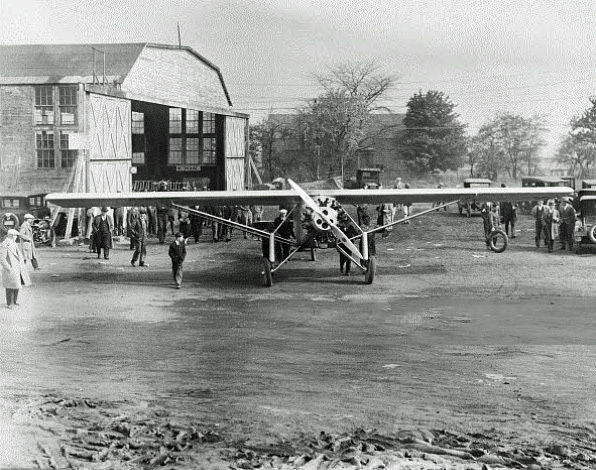 The large plane on the right is a Remington-Burnelli RB-2, the first aircraft to carry an automobile. Looking south, Hangar 16. Note the peak roof of Buidling 13 on the left. Looking north/west, Hangar 17 (directly south of Hangar 16). Note: The utility lines of Clinton Road and Old Country Road. 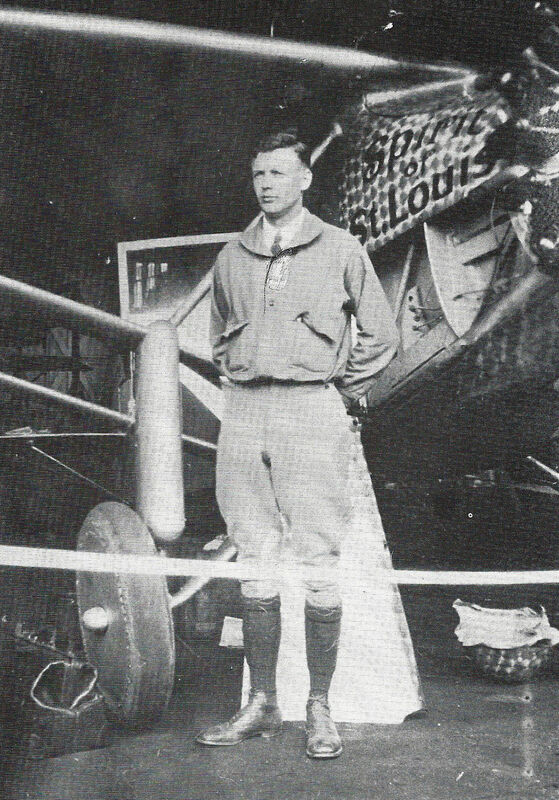 Charles Lindbergh arrived at Curtiss Field on May 12, 1927 and housed and serviced the Spirit of St. Louis in Hangar 16. This photo is looking north/west and mislabled "Roosevelt Field". 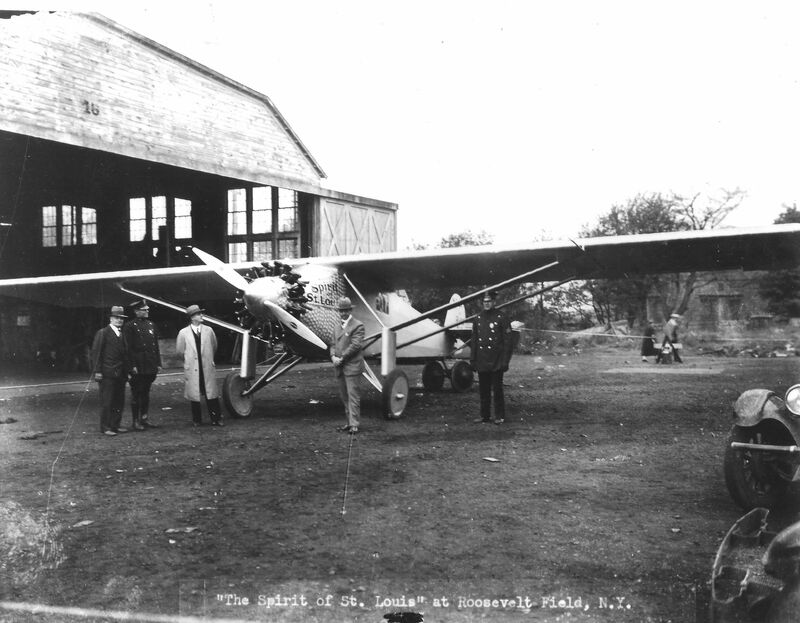 The Spirit of St. Louis in front of Hangar 16 getting ready for a test flight on May 14, 1927. The photo is from the airportappraisals.com website. Click on the Part I video beginning at the 3:06 mark and see the Spirit of St. Louis being taken out of Hangar 16 for a test flight..
Lindbergh working or posing in front of the Spirits' Wright J-5 "Whirlwind" engine in Hangar 16. The propeller and spinner have temporarily been removed. 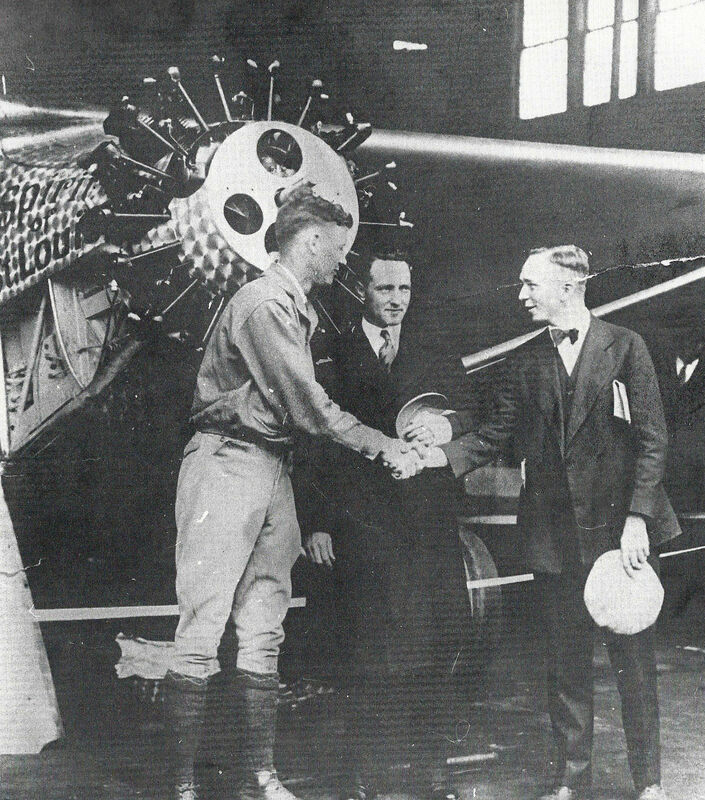 While working on the Spirit of St. Louis and waiting for better weather, Lindbergh received visitors in Hangar 16 from Commander Richard Byrd and Clarence Chamberlain who were also attempting the Atlantic Ocean crossing. Note: The cast on Byrd's left hand from a test-flight crash. 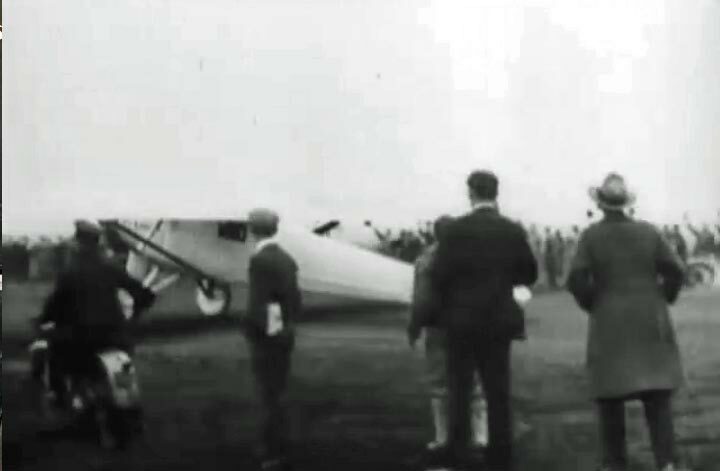 Lindbergh was surrounded by Harry Guggenheim (left) and Charles Lawrance (right). 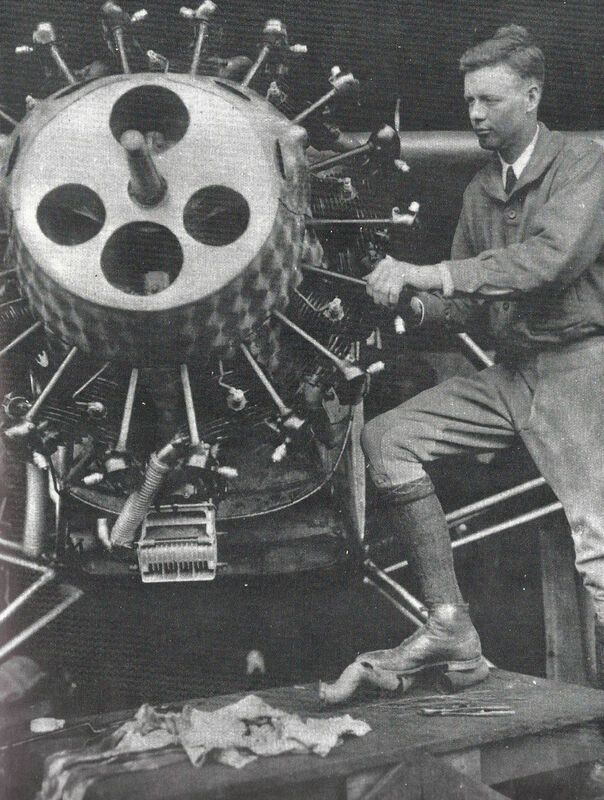 Lawrance designed the Spirit of St. Louis' Whirlwind" engine and was the "L" in the B.L.M. car that was a candidate for competing in the 1906 American Trial for the Vanderbilt Cup Race. The Spirit of St. Louis was taken out of Hangar 16 and towed one-mile east to the longer runway at Roosevelt Field. Click on Part 3 of this video on airplaneappraisals.com and see the amazing take-off of the Sprit of St. Louis. 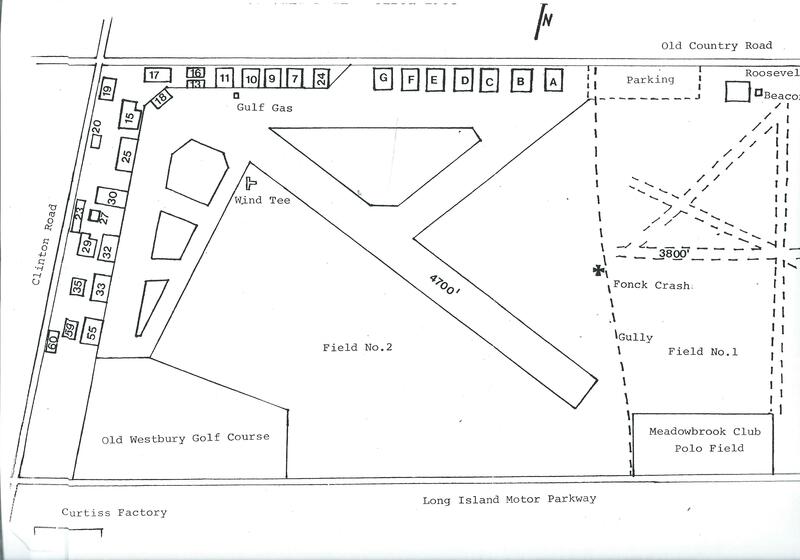 Note the proximity of Hangar 16 to the Long Island Motor Parkway on the left. Note: The Old Country Road Motor Parkway Bridge went under Old Country Road. 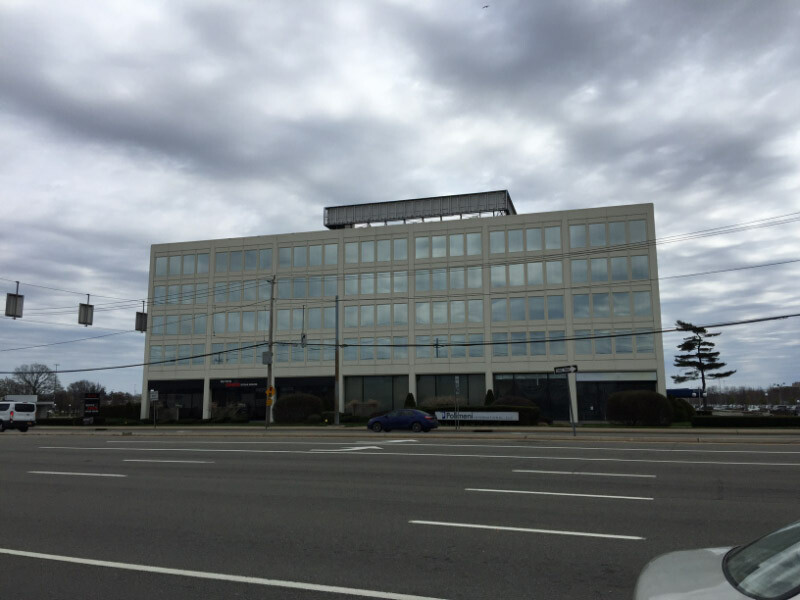 The location of Hangar 16 on the west end of 600 Centra Building at 600 Old Country Road in East Garden City. The location looking south at Old Country Road. 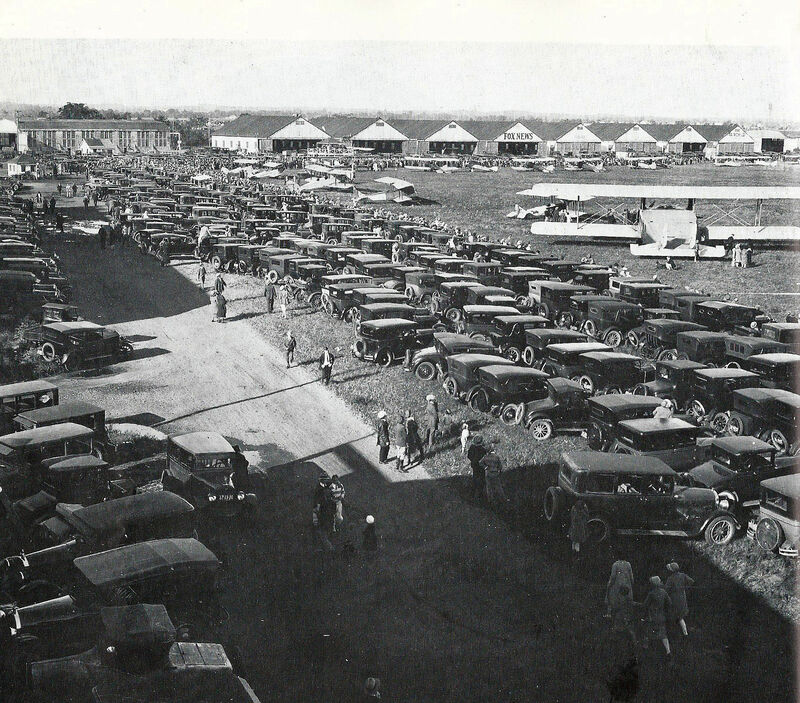 It must be Roosevelt Field (located at Meadowbrook Pkwy off-ramp at Old Country Road), probably 1932 based on the number of Keystone B-6A bombers. The building must be the only one left standing, maybe the hangar used by Spaceland in the 1950’s, which may also be the one used by Lindbergh for his historic trans-Atlantic flight to Paris. If no original buildings remain, I guess the marker would have to be located somewhere around the mall that stands there now. 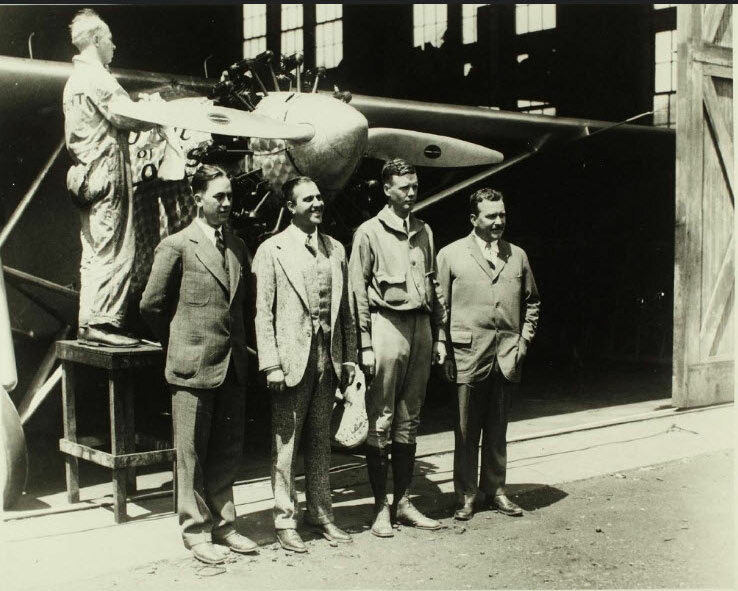 Other notables include Amelia Earhart, Wiley Post, and maybe the Wright Brothers had a training school there. This is just a most fantastic photo. If you lived within the vicinity, you truly experienced and appreciated the power of the U.S. Airforce. You had to be there. 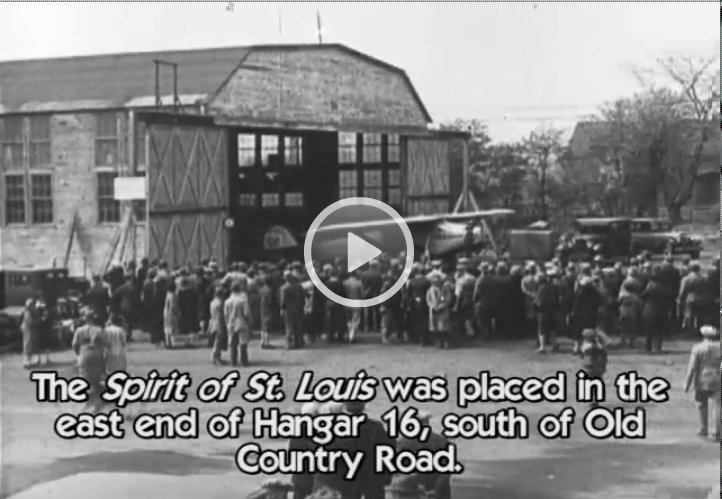 Hangar 16 was the home of Lindbergh’s “Spirit of St. Louis’”cross-Atlantic flight to Paris. This landmark location is where the story begins. Great spread of photos and information here! 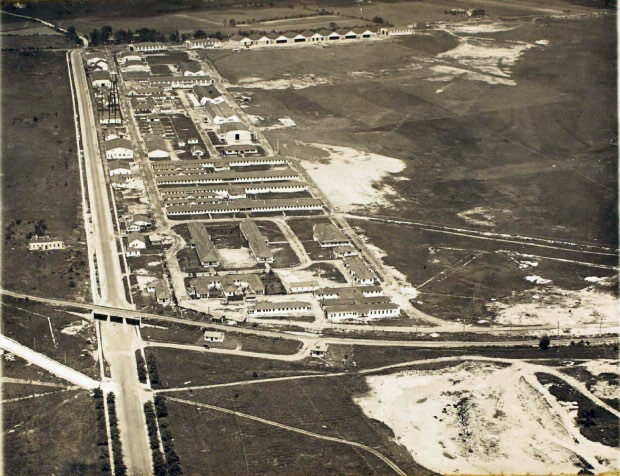 I don’t know the building but the photo is from 1931 showing Keystone Army bombers from distant Mitchel flying over Roosevelt Field with Old Country Road diagonally on left, and Clinton Road horizontally across the bottom. The LIMP and Stewart Avenue are in the middle of the picture with a southeast view. 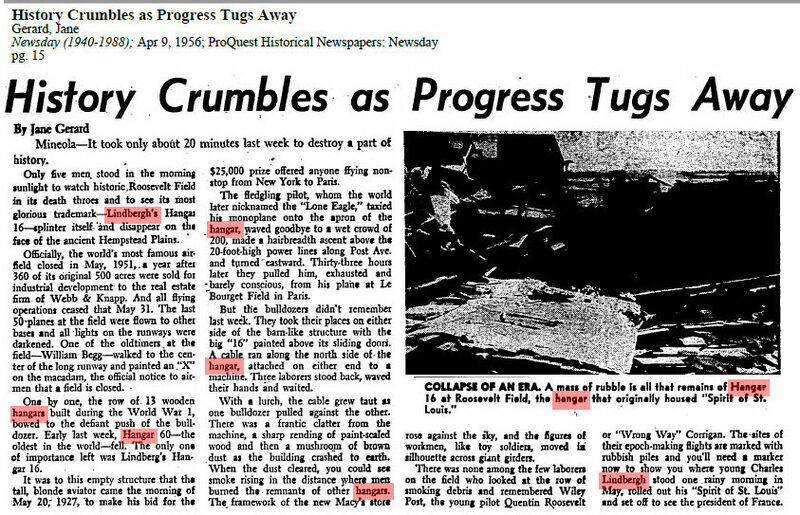 Mr. Moyers’ dad was the former publisher at Newsday which was located on Stewart Avenue but that building was not there in 1931. All I can get out of this is,I see Roosevelt,WACO and Air Associates on the buildings,so the only thing I can think of is that it’s an airport in Roosevelt,where I don’t know,I don’t think it’s Mitchell Field,that’s in East Meadow right?or is it? Maybe I can get back to this later on,gotta go now. Is the photo CURTIS FIELD? For me, the building is one of the Dade Bros. buildings in lower left, where I worked ca. 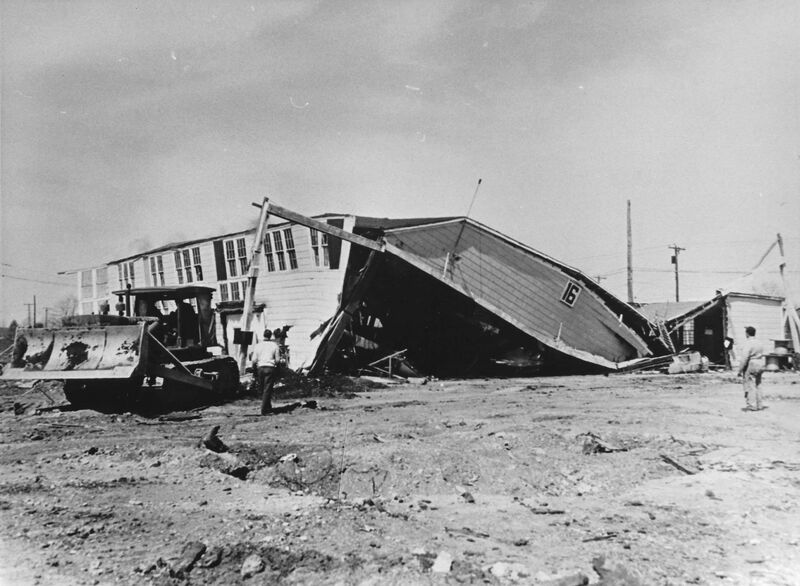 1957/8, but you probably mean the surviving hangar on Old Country Road. 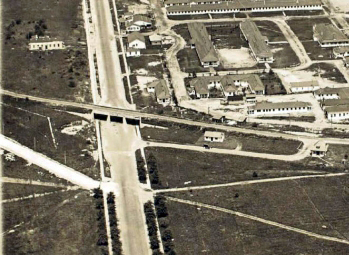 Keystone B-3/4/5/6 Bombers (I’d opt for B-6 for their high numbers) over Roosevelt Flying Field with Clinton Road at right front, Old Country Road at left front, and the LIMP diagonally across the upper right in front of Stewart Avenue. 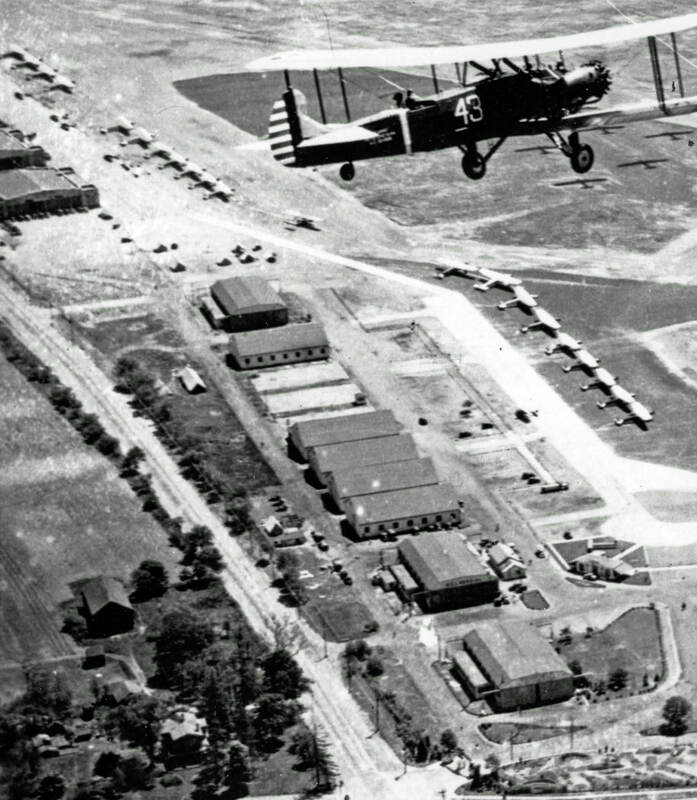 The Keystone B-6 came out between August 1931 and January 1932 and was assigned to nearby Mitchel Field (at far upper right, where they are heading), so I’d guess 1932. Mystery Foto #14… I want to believe that the building Moyers is referring to is the Curtiss Engineering Corp plant built in 1918 on Clinton road in lower foreground. Historic because it was the world’s first facility dedicated to aviation research and development. The planes are Keystone light bombers. Some of the roads here are Clinton Road across the bottom of photo. Old Country road at the lower left corner. I believe that Motor Parkway shows in the upper right side. Photo taken in 1931. I stumbled onto this photo and was intrigued by the airplanes. So after a lot of googling I can answer some of the questions. I am not sure about the building. I think all of the buildings in the photo are gone as is Roosevelt Field and Curtis Field. This is now shopping malls and subdivisions. But somewhere in this photo is the hangar where Charles Lindberg’s Spirit of St. Louis spent the night before he took of for the historic solo trans-Atlantic flight. That’s my best guess - seems to deserve a marker. The airplanes are Keystone Bombers - possibly B-4’s. Clinton Road at the bottom - Old Country Road at the left - the Long Island Motor Parkway upper right. The parkway is now gone - but the other roads are still there. Finally found it - 1931. 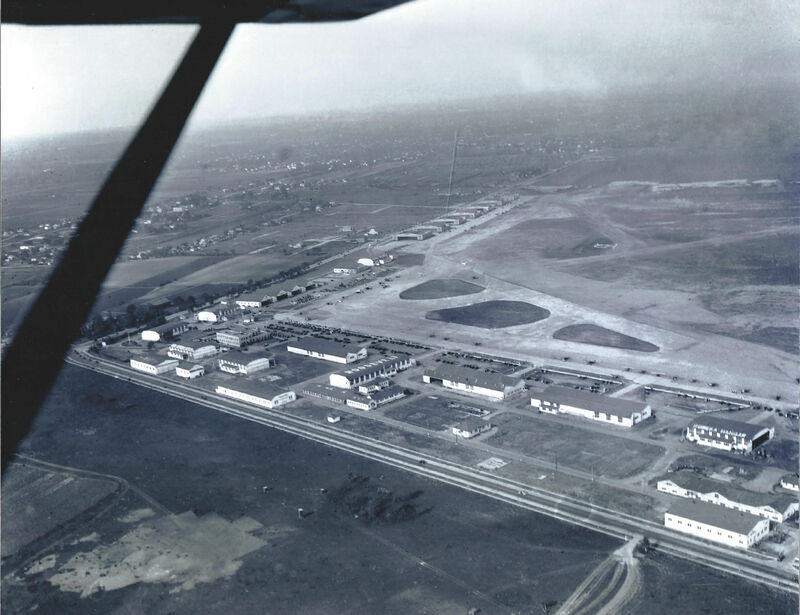 -William believes a historic marker is long overdue for a building in this aerial (courtesy of the Cradle of Aviation). What is the building? What is its location? Why is it historic? 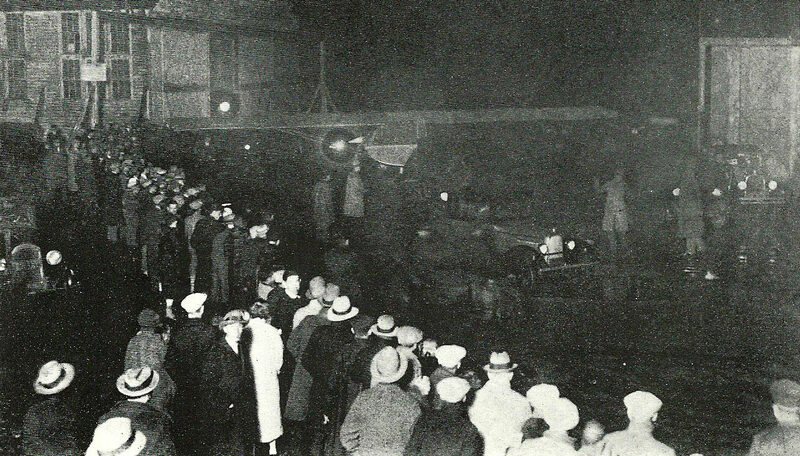 Lindbergh’s Hangar that the Spirit Of St. Louis stayed in the night before his transatlantic flight. Located along Old Country Road near the current Roosevelt Field entrance. The intersection of Glen Cove Rd/Clinton and Old Country Road bottom left corner. The LIMP and Stewart in the upper right. -What year was this aerial taken? In this photo, which shows Curtiss Field in the foreground, we are looking east towards Roosevelt Field. The famous building is hangar 16, in which Lindbergh’s “Spirit of St. Louis” was stored and prepared for his historic flight in May of 1927. 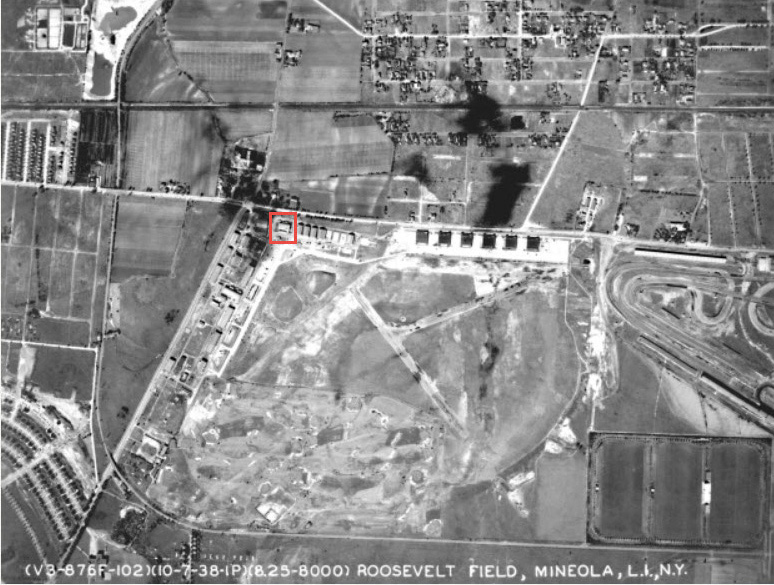 According to Joshua Stoff’s book “Charles A. Lindbergh, A Photographic Album”, hangar 16 was immediately west of Roosevelt Field so I believe that would be the building that’s only partially visible against the left edge of the photo. The major roads are Clinton Road, Old Country Road, Stewart Avenue and the L. I. Motor Parkway. The planes are Keystone B-6A bombers, which were first delivered to the the US Army in 1931 so I’ll go with that as the date. William believes a historic marker is long overdue for a building in this aerial (courtesy of the Cradle of Aviation). What is the building? What is its location? Why is it historic? Hanger 16 in Roosevelt Field - the hanger that Charles Lindbergh’s Spirit of St. Louis was stored. 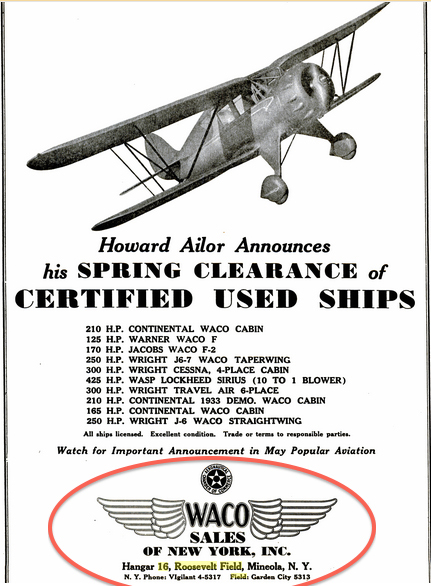 While not pinpointing the exact spot, documentation shows that Waco Sales of NY, Inc. occupied Hanger 16 in the early 1930s. The mystery photo shows this building on the lower portion of the picture. Fantastic Foto. 1931, an impressive Army? 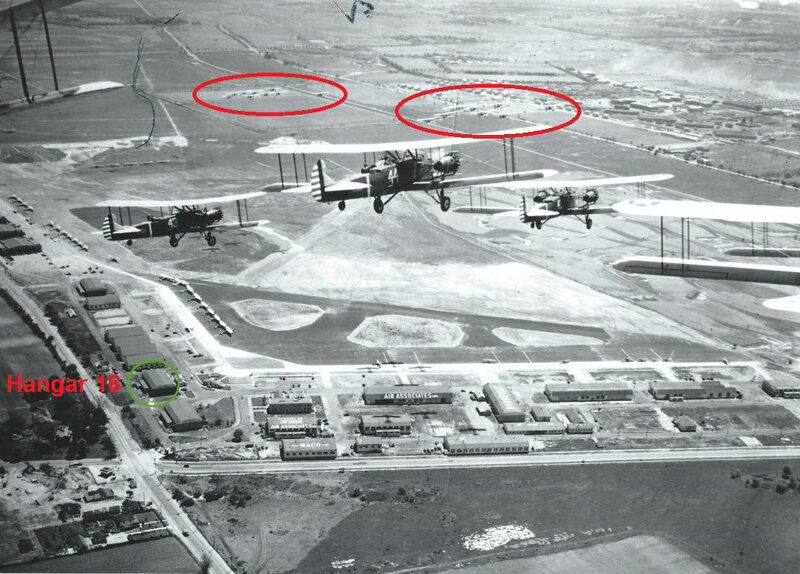 display of Keystone B6A bombers over early Curtiss Field, Roosevelt Field, and Mitchel Field. I counted 3 squadrons alone in this photo, possibly more had passed through at this event; the sky was roaring on this day. This was at the intersection of Old Country Road (diagonal at the left) and Clinton Road (horizontal at the bottom). Watch for the red-light cameras today. Motor Parkway is diagonal at the top, and Stewart Ave is diagonal just above it. 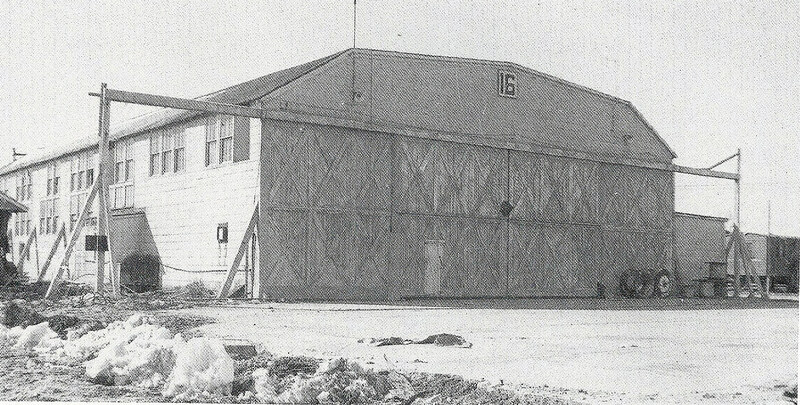 Hangar 16 at Curtiss Field was used for storing the Spirit of St. Louis, just before its famous flight to Paris with Charles Lindbergh at the helm (May 20-21, 1927). It was the second hangar from Clinton Road. A historic sign is long overdue! the photo was likely taken by Capt. Robert Selff of the Us Army Air corp. 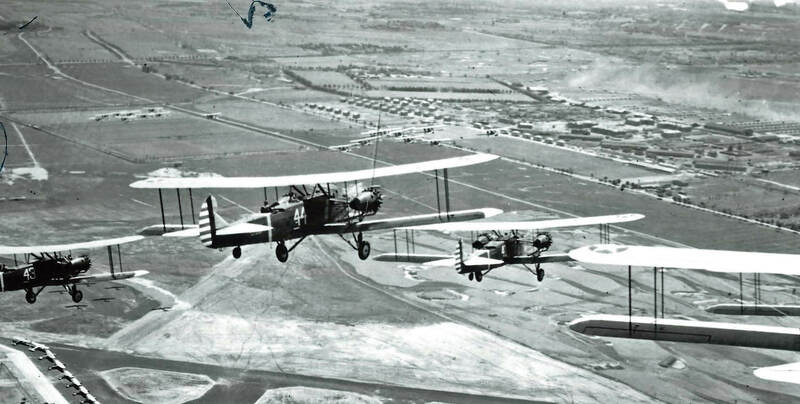 He took numerous aerial photos during the air corps maneuvers in 1931.